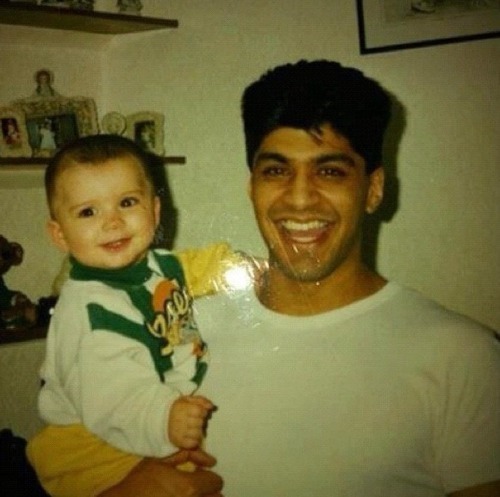 Baby Zayn and his dad :)). . Wallpaper and background images in the জায়েন মলিক club tagged: ♥ zayn malik one direction. OMG!!! !He luks just lyk his dad!!!! !soooo cute! !